Striving to Provide the Best Plumbing Kitchener-Waterloo has to Offer! At Hy-Pro Plumbing & Drain Cleaning, our Kitchener plumbers are fully trained and licensed to service your sump pump, faucet, water heater, clogged drain and more! Our local Kitchener plumbers are ready to assist you at any time during a plumbing emergency or drain cleaning service 24-7. For fast and friendly plumbing services in Kitchener, choose Hy-Pro Plumbing & Drain Cleaning of Kitchener-Waterloo! Why Choose Hy-Pro as Your Kitchener-Waterloo Plumber? Ensure your homes plumbing system is properly cared for by our licensed Kitchener plumbers! The experienced plumbers at Hy-Pro aim to provide the most exceptional and best plumbing service that Kitchener-Waterloo has to offer. Your friendly and licensed Kitchener Plumber will not only arrive on time, but will also provide you with a full estimate before starting any service in your Kitchener home. Hy-Pro Kitchener Plumbers also ensure your home is cleaned up after the work is completed. 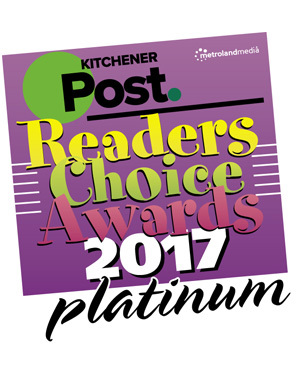 When you choose Hy-Pro Plumbing & Drain Cleaning, you choose experienced and highly recommended plumbers in the Kitchener-Waterloo region. Contact us today to speak directly with a local Kitchener Plumbing specialist. Call (519) 743-1193 today! A single plumbing issue, no matter the size, can create major problems. Should the unfortunate happen, you have to act quickly - as we all know how destructive water can be to your home or business. From leaking sinks to clogged drains, HY-PRO Plumbing and Drain Cleaning Kitchener-Waterloo services are ready when you need us. No matter the time or the issue, you can always count on us for timely, professional and efficient service! We have been servicing the Kitchener and Waterloo area for years, and you can’t imagine the things our plumbers have seen! Kitchener is now over 100 years old (celebrating it’s centennial in 2012) and many homes and commercials spaces have older plumbing systems that can falter. No matter what the problem may be, our experience and knowledge allow us to quickly determine the underlying issues and act on the solution. From a basement full of water, to backed-up showers or a simple toilet installation, we make it easy for you to get over the problem and get back to business as usual. Your local HY-PRO Plumbing and Drain Cleaning office in Kitchener and Waterloo is home to some of the best plumbers around. We work as a team to get the job done, and all of our plumbers take ownership and pride in their work, which begins with an accurate and fair estimate. Working as a team means working with you, ensuring you are aware of the options that are available so we can get going on an affordable solution that matches your budget. If you have worked with other plumbers that charge for materials and hourly rates, you may have been in for a big surprise upon completion of the work. This is just one of the reasons why we offer our customers flat rates that won’t change along the way. This way, you can forget about surprises because after all, we know you didn’t plan on having to call a plumber! In our years of experience, we have seen and worked with just about every brand of toilet and sink on the market. That means we cannot only install them for you, but we can help you decide on the right manufacturer and model for your needs and style. From American Standard toilets to Kohler sinks to no-name brands of each, we can fix and maintain your current appliances and plumbing system for years to come. From repairs to emergencies to new installations, you can always count on honest prices and fast work when you call HY-PRO Plumbing and Drain Cleaning of Kitchener and Waterloo. No matter what the issue is, we have your plumbing solution. Finding the right tradesman may seem like a daunting task, but it doesn’t need to be that way! Off the bat, you want to work with a local plumber with experience in your hometown. Another benefit of working with a local company in the Kitchener-Waterloo area is your support for the local economy and your confidence in local skill. With so many different options out there, where do you begin? When it comes to plumbing emergencies, you don’t have time to waste, and the sooner you pick up the phone and make that initial call, the better the results will be. HY-PRO Plumbing and Drain Cleaning Kitchener-Waterloo is standing by, and we have helped countless home and business owners in their state of emergency. While other companies look to cash in during these panic moments, our prices stay as true as the dedication of our expert plumbers, so anytime you have a plumbing emergency, be sure to call us without second guessing. There is no problem too big or too small for us to handle! Chances are that at some point in time, one your family members or friends in the Kitchener-Waterloo area will have hired a local plumber. This is a great place to start, as you can trust them for an honest opinion about their experience and interaction with the company. Another source would be consulting a local contractor or builder who has a working relationship with their preferred plumbing company. Maybe you are a first time homeowner or simply don’t have friends in the construction industry, but you can always search the local phone books or better yet, go online. You can learn a lot about a company from their online presence and quickly find a number of reviews from past clients as well. Once you know who to call, the next big step is to contact them and get the discussions started! Not only is it important to make sure your plumber has the knowledge and expertise needed to solve your plumbing issues, it’s detrimental. Jack-of-all-trades and handymen can often cause make matters worse, which is one of the many reasons why it’s so important to work with a local Kitchener-Waterloo tradesperson who has been in the industry for long period of time. Furthermore, you should expect a proven track record of working with customers of all sizes who have build a reputation for excellence. There are many factors to consider when hiring a Waterloo-Kitchener based plumber. Communication is the key to a good relationship and serves as the foundation of the interactions that will occur between you and the company further down the road. Once the foundation has been laid, other factors such as the professionalism of the plumbing company will come into play. Do your phone calls get answered? Are their staff members courteous, polite and helpful? Does the plumber on your job take the time to explain the work involved? Don’t work with a company that can’t answer a solid ‘yes’ to all these questions, because after all, it’s your home and you should know exactly what is going on. Proper coverage from the plumbing companies’ end is also of vital importance. In case something goes wrong, the homeowner could be liable should any injuries occur at the worksite, which is why Workman’s Compensation Insurance is a must for any professional plumbing company. Not only is this important, it’s law that proof of coverage is made available upon your request. Asking to see such proof is a quick way to test the professionalism of your chosen company. Another major difference between a professional plumber and a handyman is formal education, and proper licensing is another must have for any plumber. It is essential that your company of choice have a Master Plumber on staff that has experience working in your regional territory. Some plumbing companies in Kitchener and Waterloo may offer cheaper rates that seem too good to be true, as often these fly by night companies use cost-cutting techniques or unlicensed workers to quickly hammer out jobs and move on. This scenario can leave you in a worse position that you were originally in, so be sure to contact your local government to confirm licenses and proof of insurance in case there is any doubt. References are another great way to evaluate your plumbing company of choice, and they should be more than willing to provide proof of their success. Contacting the Better Business Bureau for more information is an easy way to validate your choice, and an easy way to eliminate companies with negative histories. You need to work with companies with a proven track record, and there is a reason top rated companies get top rated reviews. At the end of the day, cost and pricing may be the ultimate decision maker. Professional companies will tell you before hand what the service or repair will cost, and stick to that promise. Working on a pricing principle based on ‘time and materials’ leaves the plumbing company with little incentive to complete the job in a timely manner. Forget about hearing the phrase ‘I need to go get parts’ and hire a local Kitchener and Waterloo plumber who works with an up-front, flat rate pricing system. Lastly, don’t underestimate the appearance of the workers who show up at your door. Do they show up in messy, raggedy clothes or is he clean-shaven and in uniform? Does the uniform include a name badge and company logo that matches the company truck? Appearances can be deceptive, but there is a good chance that if the plumber takes pride and care in his appearance and his vehicle, this level of care and attention will also be found in their work. Finding a reputable, respectable and professional local plumber in the Kitchener and Waterloo territory is easy, especially if you follow these steps and use your judgment. Take the time to choose your plumber wisely the first time, and you won’t have to worry ever again! We proudly service Kitchener-Waterloo, Breslau, New Dundee, and Baden.